Hello to every reader and photo hunter. It’s been 9 years since I got my first digital camera, a Nikon D40. Since then many things have changed. Mostly, the time I have to walk around and gather valuable images of our world. I now have one lovely wife, two adorable children and three great cameras. My job, fortunately has a lot of travelling mainly in the countryside, but to be honest I prefer to be be out in the streets of a city or a village because I love the human element in my pictures. Looking at my photos, someone might say that this isn’t the case in most of them. I don’t feel comfortable when taking pictures of people yet, but I that’s a bet I must win! I believe that we (photographers, like any other artist) need to read and study the aesthetics and perception of the image, and not just rely on our instincts. 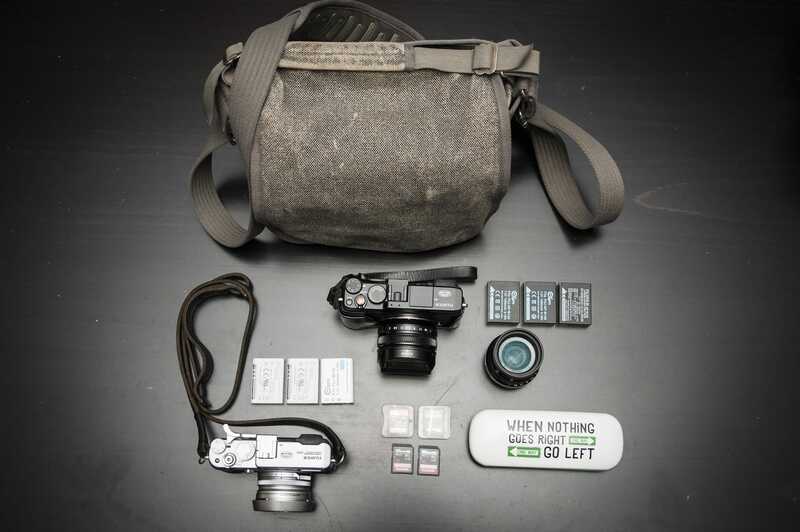 Inside Fanouris Vassiliou’s Camera Bag posted on Street Hunters on June 13, 2016 6:36 pm . Camera Bag, Fanouris Vassiliou, What's in your Camera Bag?